OTHER coaches would be sweating over the prospect of losing their jobs, looking at SuperSport United’s poor run of results in their Absa Premiership campaign. But Matsatsantsa a Pitori head coach, Kaitano Tembo, is not losing sleep over his side’s dismal start to the new year. The Zimbabwean mentor is cool as a cucumber and insists he has nothing to worry about. The Tshwane giants have lost two of their opening league games to Cape Town City (0-1) and Black Leopards (0-2) this year. Before the Christmas break, they were held to a goalless by rookies Highlands Park. On Sunday afternoon (3.30pm), the three times Premiership champions entertain Bloemfontein at the Lucas Moripe Stadium in Atteridgeville. Tembo says he still has 100% support from management and his players, and for that reason he has nothing to worry about ahead of their acid test against the Free State-based outfit. Tembo said: “We got off to a bad start, no doubt about it. “But we’re not panicking. It’s our responsibility to regroup and get positive results. 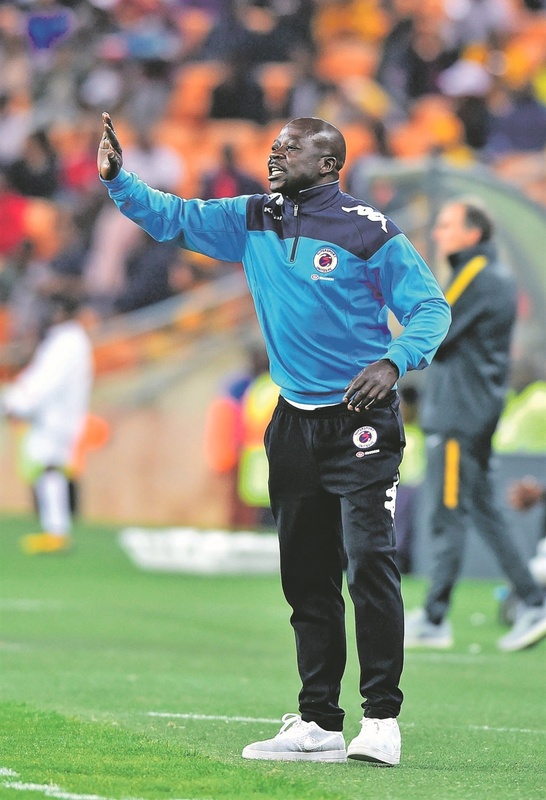 Tembo, who has been a loyal servant at the Tshwane-based outfit for over two decades, is mindful of the possibility of losing three matches in a row. Surprisingly, Matsatsantsa a Pitori are still in the top half of the log table in eighth place with 23 points from 17 matches. They will go above Celtic, who have collected 25 points from the same number of games in fifth place, if they win their game today. Tembo said: “It’s an important game, as we’re playing at home. I told the boys that we have to revive our season. Tembo is comforted by the return of goal-poacher Bradley Grobler, who has been sidelined for six months, and Thabo Mnyamane, who had not kicked a ball for a year. But they will be without Zimbabwean forward Evans Rusike for four weeks.